With underfloor heating and gas fireplace/hot water throughout it is perfect for Winter getaways. Note that for 8 people staying in a unit, 2 very comfy trundler beds will need to be used. Wonderful views of lake and mountains. Quiet and secluded. Warm and friendly with loads of kitchen tools for great meals at home. Come and stay in your home from home. Special rates may apply for long weekends, school holidays, etc. Please enquire. Smoking allowed outside only. Special requests and long term stays are possible. While standard cleaning is included, we expect the property to be left reasonably clean and tidy with rubbish cleaned up and removed. Beautiful property which had everything we needed. Stunning views, and the hot tub, were highlights which contributed to our fabulous experience in Queenstown. Only regret was not staying longer! We will hopefully be able to return again soon. Thank you! Definitely above our expectation. Blown away by the amazing view given, the modern touch and comfortable room, fancy kitchen & cosy living room. Absolutely a gem in Queenstown. Loved the house - amazing views and very comfortable beds. Loved the house - amazing views and very comfortable beds. We would stay again. Just a little bit of feedback - the stretchers need replacing as they sag in the middle - probably fine for a child but we were adults! Also we struggled to get the heaters downstairs working (this may have been us but worth checking them out). Just minor things though - the house is amazing. Property was clean, comfortable, and convenient to town. Property was clean, comfortable, and convenient to town. Wow! 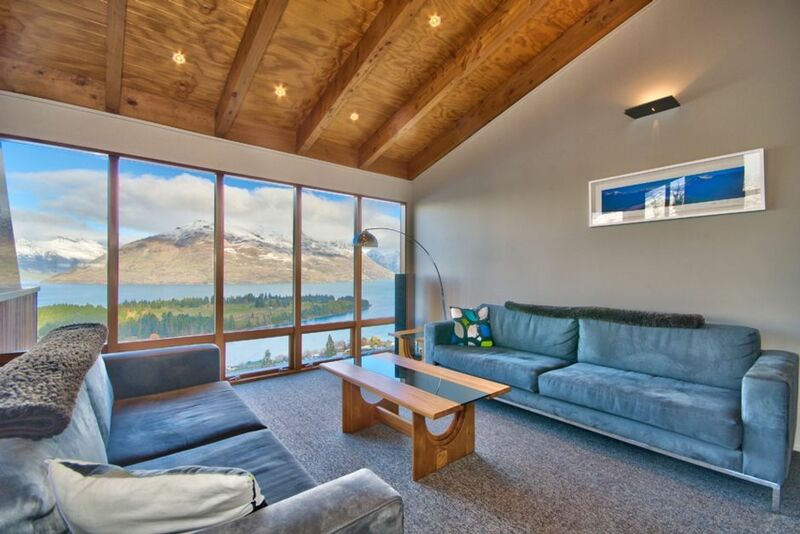 !, the view of the Remarkables and the lake from the deck and through the floor to ceiling windows on the main floor were amazing. The views from this property will absolutely take your breath away!